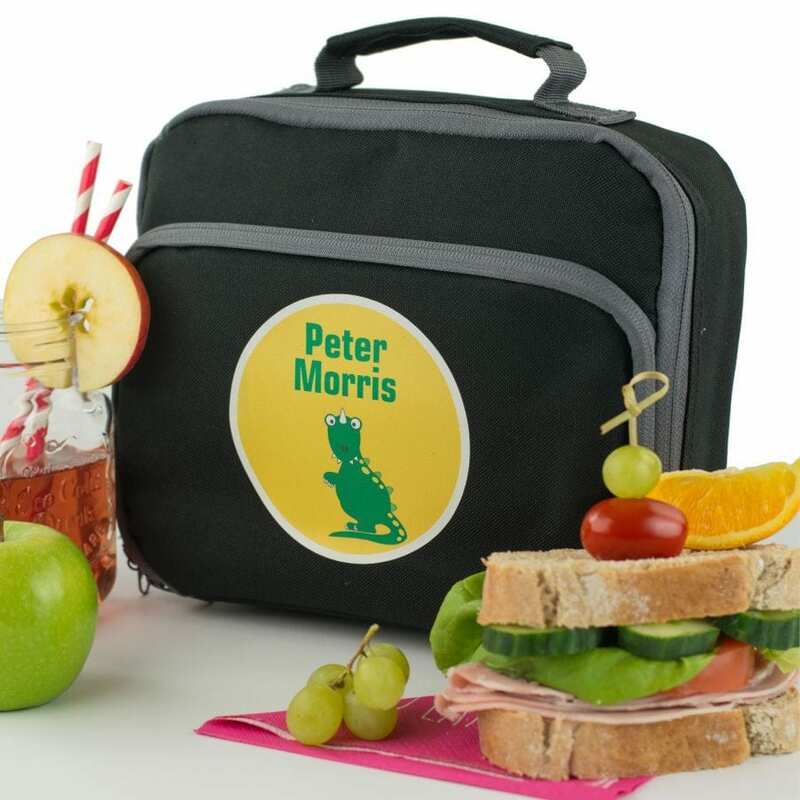 Our personalised dinosaur lunch bag is a must for that dinosaur enthusiast. 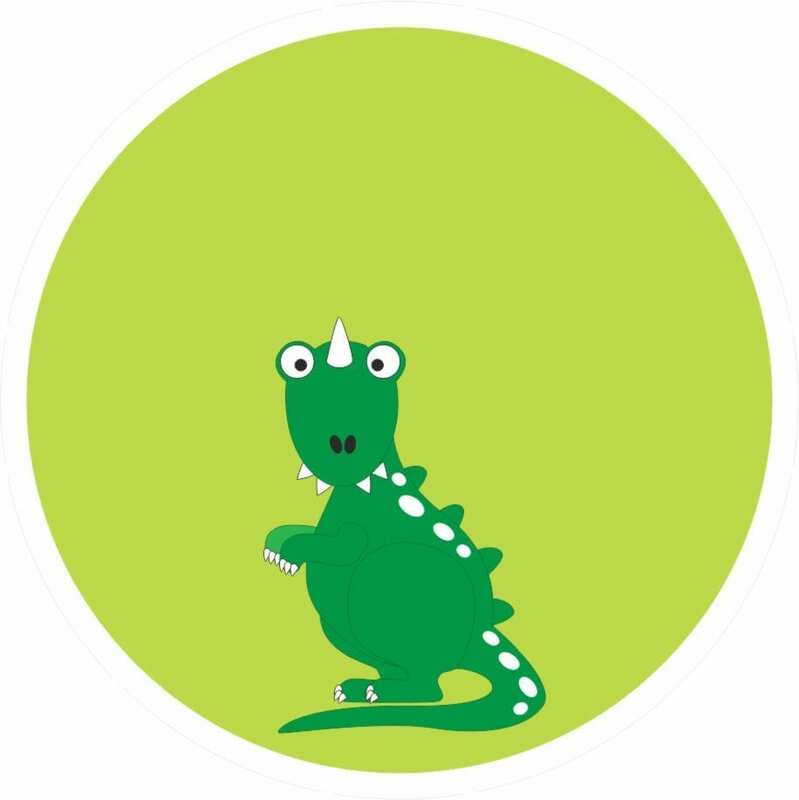 Personalised with your chosen name, there is no maximum character restriction and we can even print accents. The longer the name is the smaller the print will appear. 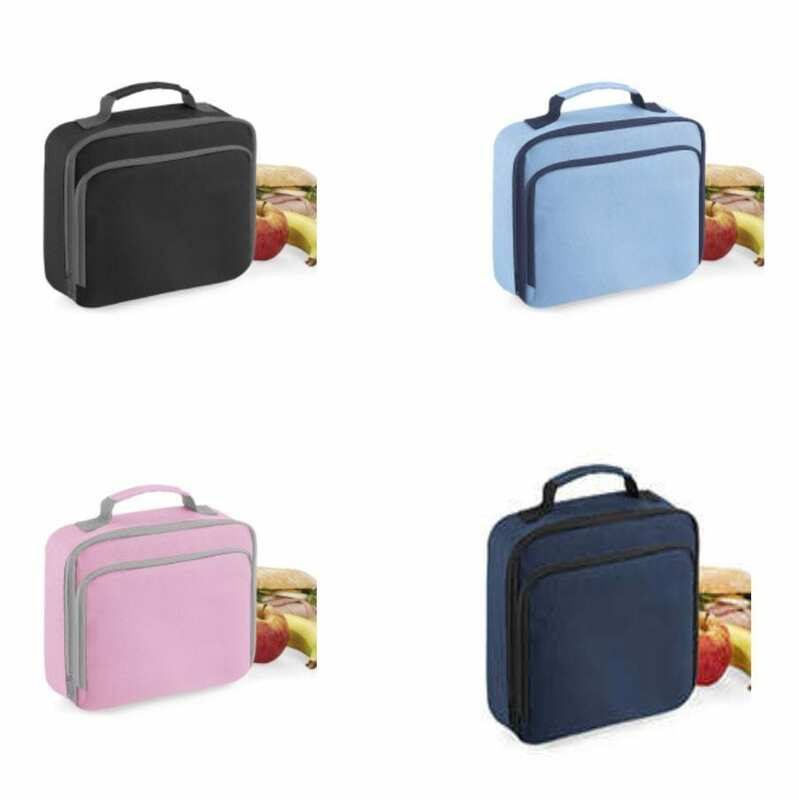 Our insulated lunch bags come in 4 wonderful colours to choose from. 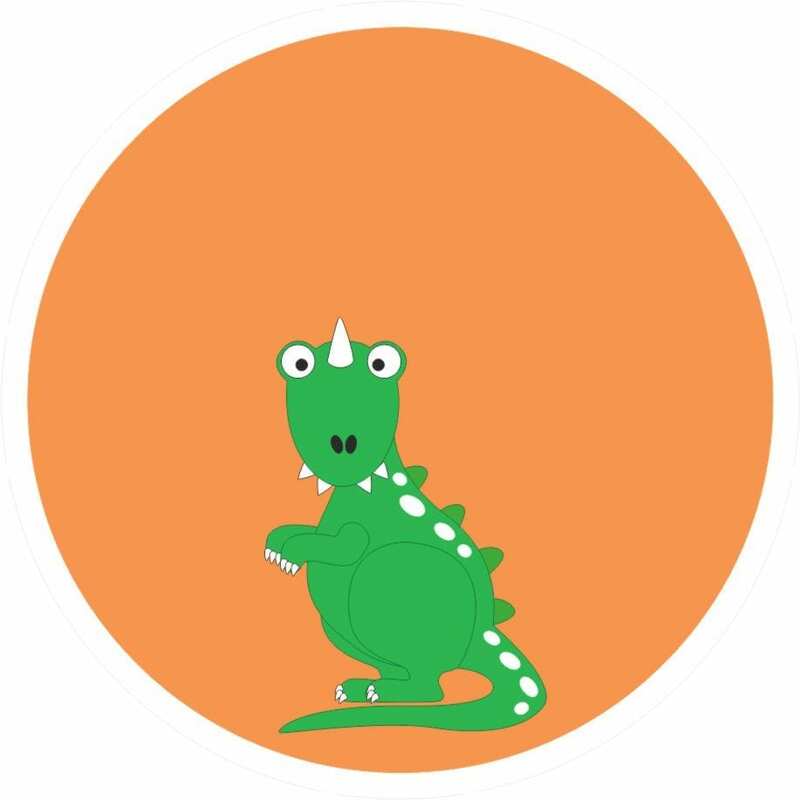 Then it is all about the background colour, whilst the dinosaur always stays green, customers get to choose what background colour they would like. Your chosen name will appear in green . 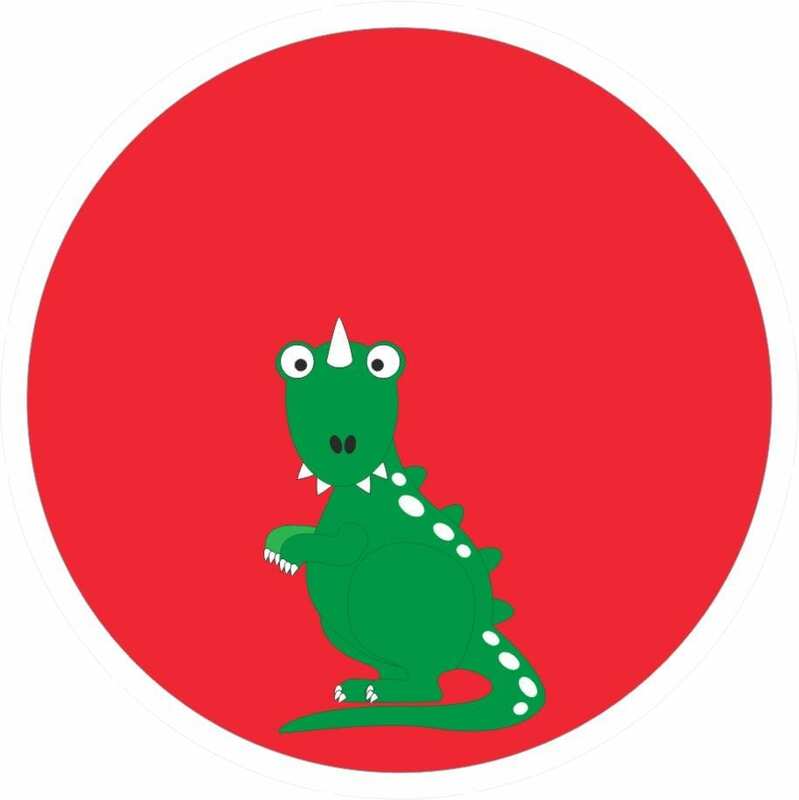 Our background for Danny the Dinosaur is circular. As a general rule name will appear over 2 lines. Although in some cases we may decide it looks better on 1 line. 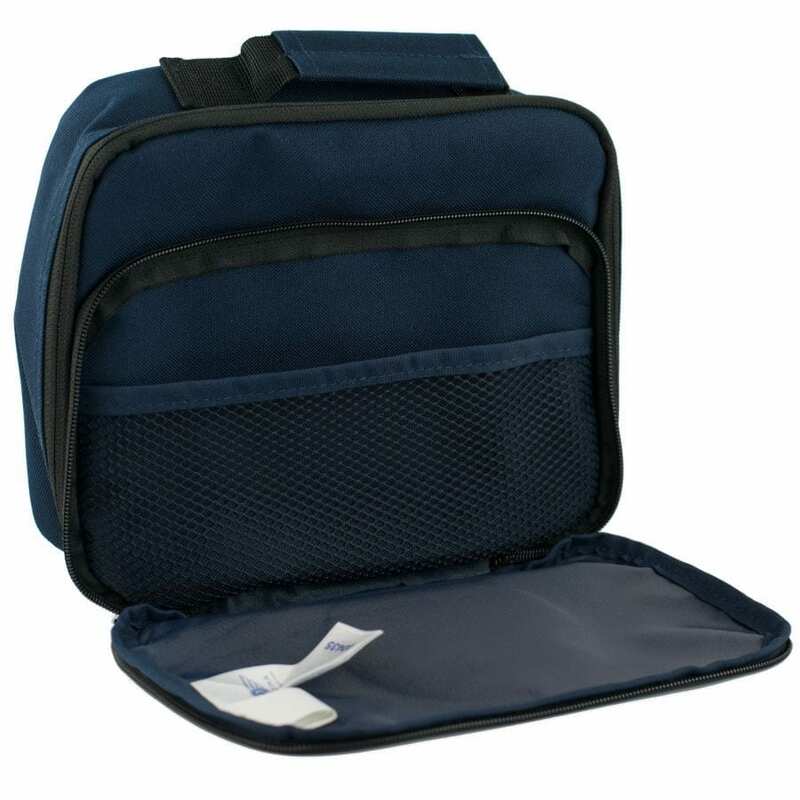 The lunch bag is spacious in size measuring 24 x 20 x 8 cm and has a wipe clean interior. With a zipped main compartment for easy access. There is also a front zipped pocket which features a handy internal mesh pocket, just right for storing mid morning snacks. Small handle ideal for carrying or for hanging on a school cloakroom or nursery peg. 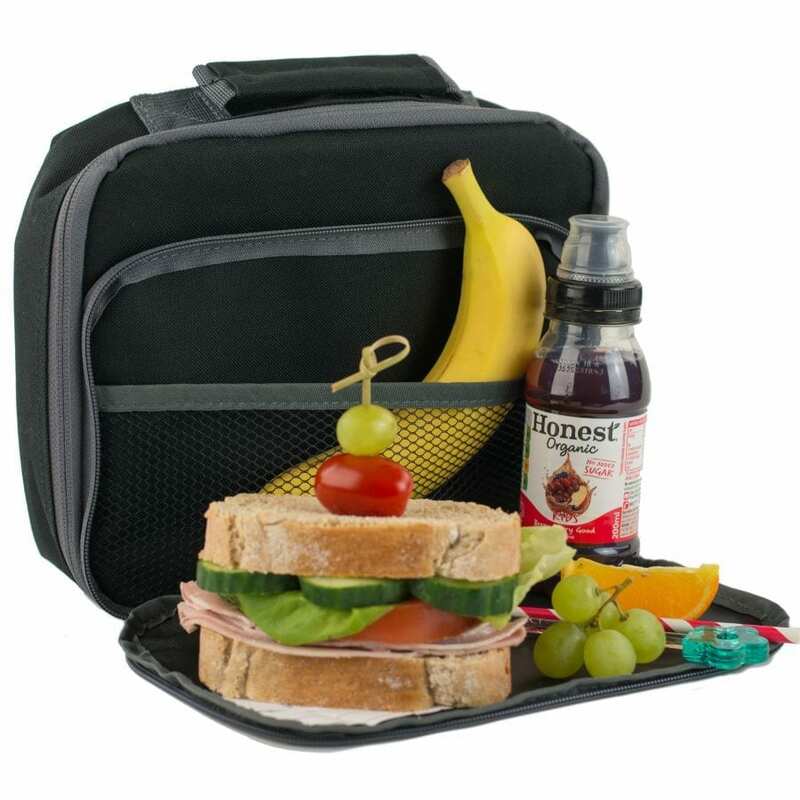 A personalised lunch bag helps children to recognise which lunch bag belongs to them. 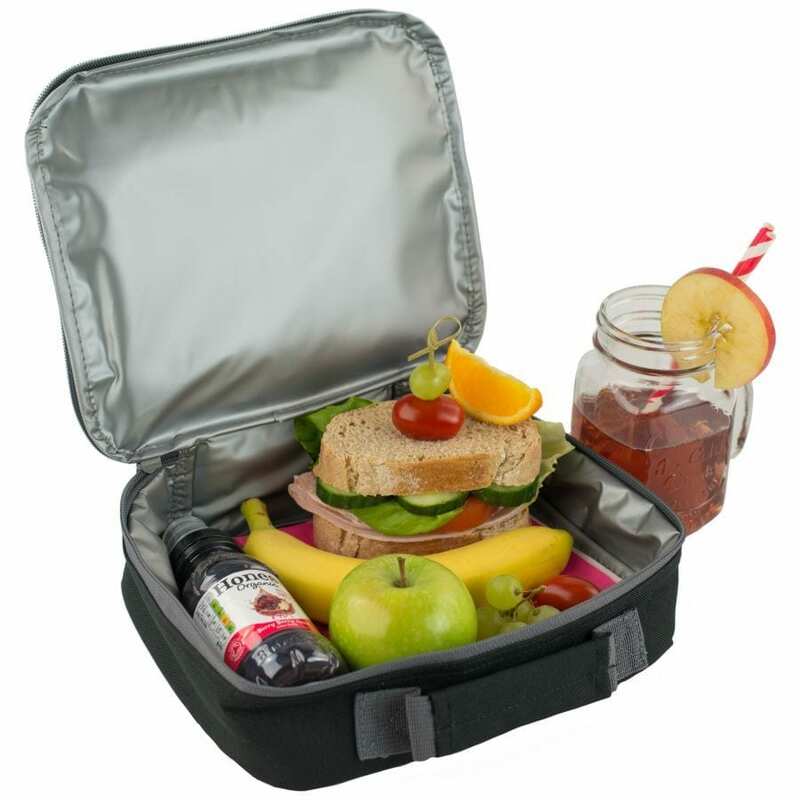 Great for a busy house where several packed lunched might be being prepared, helps to ensure everyone gets the correct lunch. 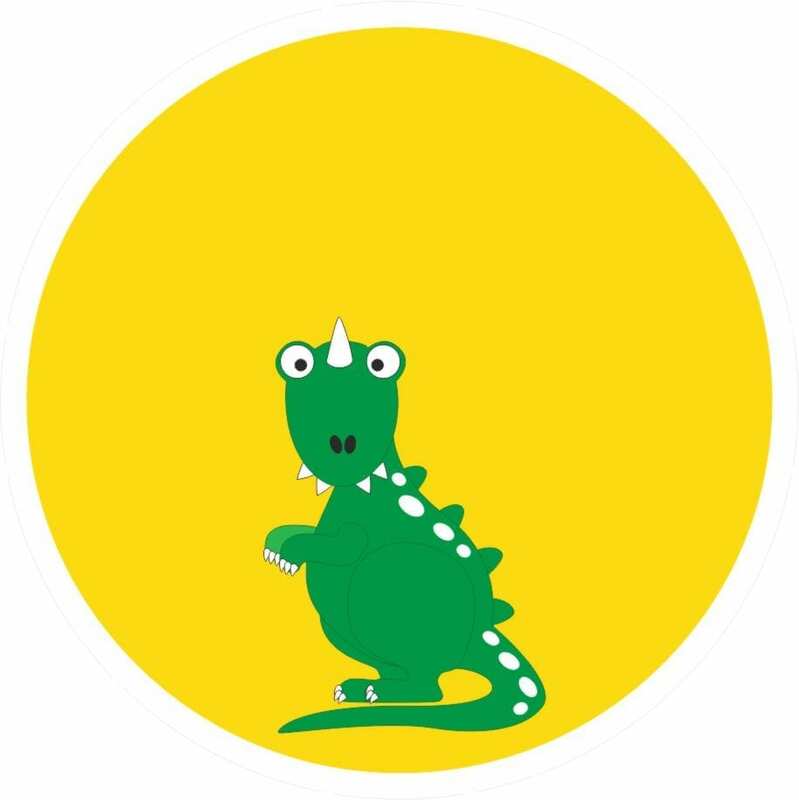 The personalised dinosaur lunch bag makes the ideal gift for children starting school or perhaps as a Birthday or Christmas gift.